Click on any of the procedures below to learn more about the body procedures offered by Bel-Red Cosmetic Surgery Center. Over the past two decades body liposuction (also known as lipo-contouring, lipoplasty and lipo-sculpting or body sculpturing) has become the most common and popular cosmetic operation performed in the United States. Performing liposuction with state of the art technology since 1998, Dr. Zemplenyi achieves lasting re-contouring to shape and refine those parts of your body resistant to weight loss and exercise. Make an appointment with us at the Bel-Red Center for Aesthetic Surgery to see if our technique of tumescent liposuction along with Smartlipo TRIPLEXTM laser-assisted precision lipo-sculpting is right for you!! 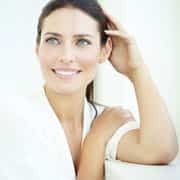 This exciting technique involves the use of a laser to dissolve and remove pockets of fat while at the same time tighten overlying skin in the face as well as almost anywhere in the body. Abdominoplasty (“tummy-tuck”) is a procedure for flattening and tightening the abdominal contour. Abdominoplasty candidates include those persons with sagging abdominal skin, stretch marks, or weakened abdominal muscles as can occur after pregnancy or weight loss. Tightening abdominal wall muscles and removing excess skin and fat can create the flatter, smoother abdominal appearance that exercise and dieting may not. The presence of many stretch marks on the belly skin or a large amount of overhanging skin and fat (panniculus) makes a tummy tuck (abdominoplasty) the procedure of choice when simple liposuction may not be enough to address skin laxity. Large volume weight loss resulting in large amounts of excess skin, such as that following bariatric surgery (gastric bypass and gastric banding), may also require abdominoplasty to produce the more shapely contour desired. Dr. Zemplenyi has been interested in restoration of contour of the body since his fellowship training in Cosmetic Surgery in Beverly Hills in 1987. 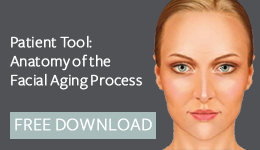 Modern rejuvenation is based, in part, on restoring the tissue volume that has been lost through the aging process. One’s own fat (adipose tissue), used to replace the fat which has shifted or been lost, lends itself as the ideal, natural filler substance and volumizer of breasts, buttocks, depressed scars and divots.